"How does someone get a dragline to flip? What did they do wrong? " They did nothing wrong!! Given the conditions which draglines work in, a highwall collapse is a constant danger which they must face every day. In order to understand how this happens, first you have to understand where a dragline works. Since drags sit atop the highwall, on top of rock which has already been drilled and blasted, the soil that they are sitting on isn't as stable as undisturbed soil. Have a look at the picture below, and you may be able to understand how something like this could happen. 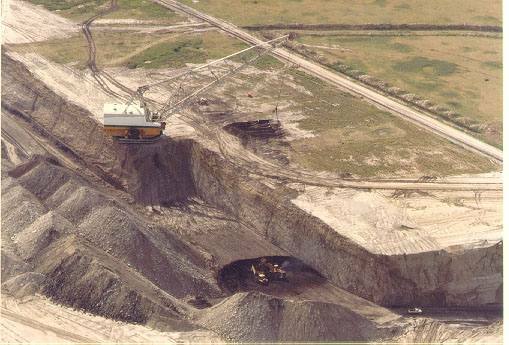 This scene is typical of all strip mining sites, where a dragline is employed. Due to the digging design of drags, they must sit precariously close to an edge to dig, Odds are good, that nothing bad will happen, but the chance is always there..